NID 2019 Result for DAT Prelims (B.Des/GDPD) has been released on 20th March 2019. NID conducts the DAT (Design Aptitude Test) for admission to NID and its affiliated campuses. 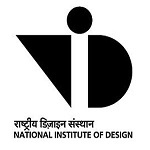 National Institute of Design offers UG & PG courses in the field of design. It is a national level entrance exam through which candidates can get admission in various design institutions of India. Candidates must have to appear in DAT Prelims and Mains to get admission in the participating design institutions. In this article we have provided the NID Entrance 2019 result along with merit list, how to check result, etc. NID 2019 Result for DAT Prelims (B.Des/GDPD) has been released on 20th March 2019.Click here to check result. NID 2019 Result for DAT Prelims (M.Des) has been released. Click here to check result. The result has been declared by the authority through online mode only. No other mode is made available to download the NID scorecard. The scorecard is considered valid only for the current academic year. Candidates can check their results by logging into their registered account on the official website. Candidates are advised to preserve their admit card till the selection procedure. The qualifying status of the candidate along with the scored marks are mentioned on the scorecard. The authority will also release the separate cut-off for all categories. NID Cut off 2019 will be released through online mode after declaration of the result. It will be released separately for each category. The authority will also provide the relaxation in cut offs for reserving categories. NID Admission Procedure 2019 will be started in the month of June 2019 along with the publication of NID result. The counselling will be conducted through online mode. The result of DAT Prelims 2019 for B.Des programme has been declared on 20th March 2019. For M.Des programmes, the result has been published on 20th February 2019. The written test (Prelims) has been conducted on 6th January 2019. The answer key has been released by the authority. Students will be able to check the DAT Mains result for M.Des on 2nd May 2019 and for B.Des it will be declared on 31st May 2019. A new login page will be opened on the screen. Fill your login details such as email address, date of birth, roll number/Application form number. Enter the verification code and click on ‘Submit’ button. Your result will be opened in the screen. Print the result and keep extra printouts of it. Candidates those will appear for all the tests in both the stages will only be considered as eligible for the merit list. The separate merit list will be published for all disciplines under M.Des programme. If two candidates will score the same marks, then they will be allotted the same ranks. The merit list will be published category-wise, i.e., General, OBC-NCL, SC, ST and PH. The final merit list is based on the total sum of the weighted scores secured by the candidate at each stage of the admissions procedure. The merit list will be published on May 2019 for M.Des and for B.Des/GDPD. On the basis of NID DAT prelims merit list, shortlisted candidates will be allowed to sit in the NID DAT Mains (Studio Test and Interview). If you have any other queries about NID Entrance 2019 Result, you can write your queries in the comment box given below. Since 2 days we are desperately trying to fill rechcking form, but couldn’t fill that as site was not open. Rechecking form facility is over now. i have just cleared nid dat prelims under obc category. but i come under obc creamy layer. and obc rank is 274. At what time will the result of nid bdes entrance be declared on 19th March? The result of B.Des is released now. Sir mera nid & nift ki result nhi nikal rha h…Kya krun? Try again. Or contact officials regarding the problem. please search the nid bdes result 2019 DAT PRELIMS, HOW? When will the result for NID Prelims B.Des 2019 be announced? What is the cut off marks for dat prelims for Bdes 2018 – open merit ? Can you please share the marks I got in Part I and Part II separately of DAT (prelims) 2018? As per the uploaded answer sheet, I calculated that I had got 55/70 in part I. Is it possible that I hv scored only 6.5/30 in part II? ?